Is you Commercial Property ADA Compliant? If so – consider hiring a CASp (certified access specialist) to review your property before any potential lawsuit can take place. Often times, business owners are not aware of the potential for lack of handicap compliance requirements and are subjected to potentially $4,000 per lack of access to the property. Most property ADA liability begins with a parking lot, as this is the first place customers visit when they are visiting a property. All public parking lots must be reviewed by an ADA Inspector to ensure there is no access issues for disabled people. From the thickness of the stripes, to the bumps in the asphalt, to the signage – each item within the public area must be reviewed to ensure the business owner has the best chances at winning the lawsuit – if ever taken to court. Similar to any parking lot, all customers eventually enter a doorway. Regardless if they are in a wheelchair or not – the doorway must be accessible to all parties, including the disabled. From the doorway pressure (how tough it is to open the doorway) to the height of the door-handle, to the door-stop – each item must not present an access issue for any disabled person. Typically schools, hotels, restaurants, etc should considering hiring a CASp to review their property for lack of access for the disabled. Bathrooms seem to be the most common item for lawsuits as they are frequently visited by customers when dining out, or visit most other public areas. Smaller buildings often face issues with bathrooms not being big enough for disabled people, specifically those living in wheelchairs as the wheelchair must fit in the space appropriately – and not hinder the disabled person from accessing the public accommodation. Businesses who do not comply with the Americans with Disability Act are subjected to a potential $4,000 per lack of access. Having a ADA company review your property entirely is an important step in mitigating your risk for a potential lawsuit. CASp often work with architectural designers, ADA construction companies, and other industry affiliates in order to be of service to each customer entirely. Often times it takes a group of specialists to walk a property, review the plans, and construction accessible options for the disabled. Apartment complexes, doctors offices, and mostly any other commercial property in the USA should have had some sort of public accommodation adjustment since 1975 and beyond. Showing proof of hiring a company to review and revise any non-compliant property issues will help out most companies when taken to court. Often times, its the companies who do not understand or know about the ADA requirements, that will suffer and lose potentially $4,000 per lack of access – meaning, if a customer cannot get to a public place because your parking lot blocks them access, that is a potential $4,000 fine, if your handrails are not tall enough to be reached by an disabled person, that is an additional $4,000 per lack of access, if your bathroom is not large enough to accommodate that same customers size wheelchair, this is an additional lack of access fine and subject to scrutiny in a court of law. Showing the company took the best interest of the public and made attempts to fix the lack of access, proves the company is not in fact discriminating, but actually took a proactive role with the issue. We always remind our customers to service their pool as often as they vacuum the floors of their beautiful home. Our partner Pool Company in Orange County California deals with a variety of clientele who own beautiful homes but often neglect their pool and spa maintenance due to the fact they cant seem to find the right pool maintenance company to handle it for them. Sometimes multiple times during the week if needed during the nights when unoccupied. As chlorine cleans the pool, it it binds to nitrogen, ammonia, and other chemicals. This binding action makes it inactive, while acting on skin as an irritant. An occasional shock treatment dose will eliminate this bonded chlorine but is also harmful until distributed evenly amongst your water features so please do this when your pool or spa is empty, we suggest hiring a professional commercial water feature maintenance company to handle all your pool, spa, or additional water feature needs. We suggest your filter is cleaned a minimum of 7-8 times per year (or when your pressure gauge reads 8-10+ regardless of pressure relief) to help extend the life of the filter cartridge elements. Although these numbers can vary and are contingent on how your system was built. Sometimes this can be a very tedious process and it’s better to call a professional company. If you are an avid DIY’er the steps are all simple to do, although be prepared with a little time and the potential to get a little wet. The following steps will not only show you how to clean your cartridge filter, but how to efficiently and safely clean your filter element. Building since 1984 on the Kenai Peninsula, Phil Needham has excelled in all aspects of cold weather, residential, commercial, and remote site construction. Whether you are looking for a kitchen remodel, a cabin across Kachemak Bay, or someone to design and build your new home from foundation to finish, New Homes by Neeham will surpass yoru expectations. 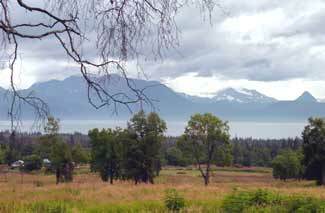 All of our lots are view lots, offering bountiful southern exposure to Kachemak Bay and the mountains beyond. This pristine development seven miles east of town lies directly above the Lynx Golf Course and combines gorgeous views of Kachemak Bay with a secluded setting. The “Homer Bench” microclimate means warmer weather than those in town, with temperatures suitable for growing your own apple trees! Contact us today for your personal tour. Forest Glen is rapidly becoming the subdivision of choice for those who desire Kachemak Bay Views from a convenient location near downtown Homer. West Homer Elementary School, Homer Middle School, and even the beach are within walking distance. Looking For Furniture Repair Houston? Copyright © 2019 New Homes In Homer All Rights Reserved.